Construction Month celebrates our industry and the many benefits it brings every day to communities throughout BC. Show your appreciation by becoming an official Construction Month Sponsor. Together, we’ll make it memorable. Secure your brand presence today with a sponsorship package that works for you. For complete package details, view the 2019 Sponsorship Prospectus. We all rely on BC’s skilled construction workforce to get the job done right. Let’s give them the recognition they deserve. 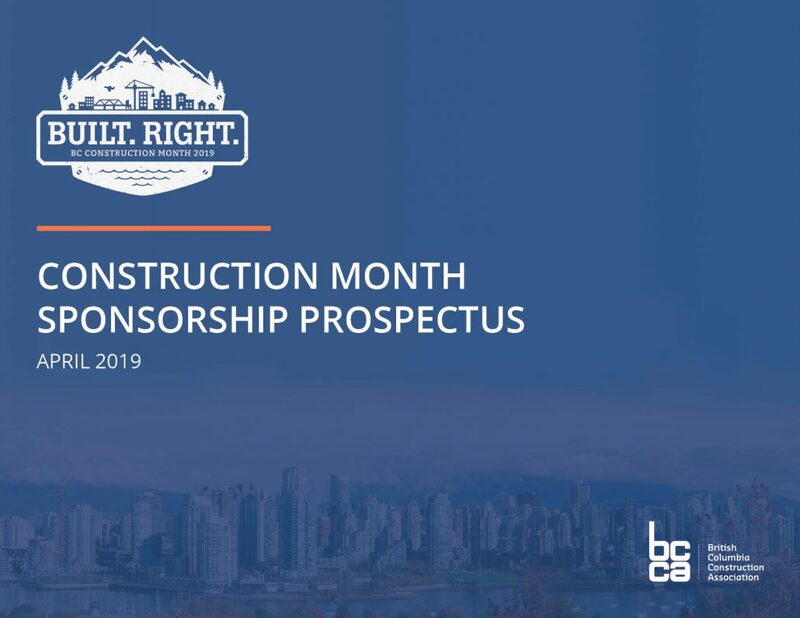 Construction Month is managed by the BC Construction Association, a non-profit, non-partisan organization serving BC’s industrial commercial and institutional construction sector. Download the 2019 Sponsorship Prospectus for the full package details. Contact Tom Gogela at tom.gogela@bccassn.com or 250-475-1077.